If you enjoyed “House of Cards” and the implications of Netflix’s data-driven strategy, just wait until you get a sense of what Google could do in TV if it chose. iOS Users Beg Apple: Set Our iPhones & iPads Free! We asked ReadWrite readers what they want to see in iOS7 – the next version of Apple’s mobile operating system. Here are the two responses that topped the list. The new Google Maps is smarter, more personalized and lets us see a lot more of the world. With the launch of All Access, Google joins the streaming music business. Why the giant could disrupt the space dominated by Spotify and Rdio. Spotify and Rdio are the best music subscription services in the U.S., but neither is perfect. Here’s what the ultimate streaming service would look like. Reader Survey: What Do You Want In iOS 7? With the WWDC weeks away, what are you hoping to see in iOS 7? Take our survey! An open letter to Nintendo CEO Satoru Iwata: How bringing Mario to my iPhone could help the company thrive again. With the launch of Creative Cloud, Adobe moves towards a cloud-based, mobile world — and kills your ability to pirate its software in the process. On Instagram, using the right hashtags can lead to a flood of digital love from fellow Instagrammers. New data reveals which tags work best. Apple’s user-privacy standards are abysmal compared to its peers, and so is its refusal to explain them. Maybe you don’t care. Here’s why you should. Something huge is happening in online TV this year: It’s becoming normal. Amazon TV makes total sense from the company’s perspective. To succeed, though, it also needs to make sense for consumers. Why 2013 is shaping up to be the year the Internet upends traditional TV. Apple raised eyebrows among privacy advocates this week when it revealed that Siri hangs onto voice query data for up to two years. Is this really cause to freak out? Which music subscription service is for you? A side-by-side comparison of Spotify, Rdio, MOG, Rhapsody, Grooveshark and Deezer. 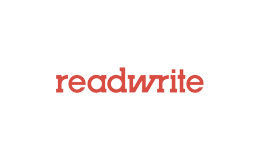 We check in with the people who helped make ReadWrite what it is today. Twitter’s new music app is here. Artists should love it, but fans aren’t going to find as much to like. It may seem like a minor detail, but YouTube’s new live stream access on iOS is a nice touch for cord cutters. The IRS’s data-mining capabilities are bigger and more extensive than ever. Did you double-check your math before filing your return? After a few days of testing Aereo, it’s clear that it’s just a useful service — it’s one that actually makes broadcast TV relevant again. Broadcasters shouldn’t sue it out of existence.